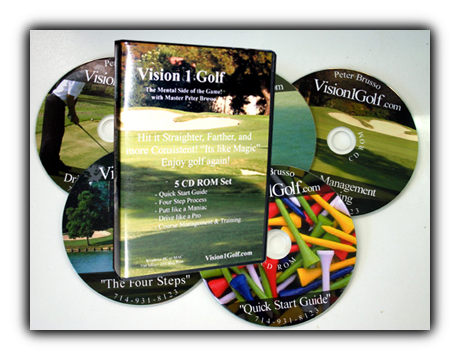 Vision 1 Golf Total Program: you get the 55 page ebook, and 5 mp3’s. Course management mp3, quick start guide mp3, the official four step process, Putt like a maniac, and drive like a pro. Everything you need to experience this fantastic human performance golfing technology that is money back guaranteed to produce results or you don’t pay us! 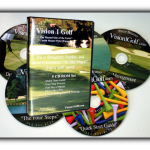 The Four Step Process– In this disc you’ll learn the hidden secrets and the magic of Vision 1 Golf. You will learn how your mind works, how to anchor yourself in the performance and much more. Course Management- Learn the secrets of using Vision 1 Golf on the course and the principles of how to train properly for the golf game. You will learn to train like the pros and manage your performance on any course no matter the slope rating. Putting Like A Maniac- This disc centers itself around the fundamentals of the short game. You will learn how to use colors to accent your focus and how to install anchors for successful putts 75% of the time or more. 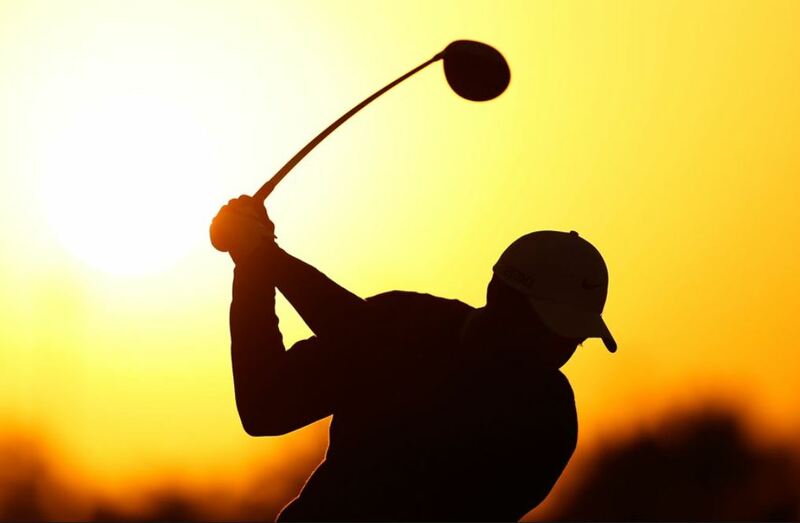 Drive Like A Pro- Hit it straighter, and hit it farther. This disc shows you how to drive more consistently and how to strike the ball farther than you thought possible. Keep the golf ball in the center of the fairway each and every time. How do the pro’s do it? You’ll get the secrets on this disc. Quick Start Guide-This disc contains the essence of Vision 1 Golf. It is a 10 minute pre-game warm-up designed to be used on your way to the golf course. It allows you to get grounded in the fundamentals and to remind you how your mind works. If you want to play consistently, hit it farther, drive like a pro and putt like a maniac, then you will want to listen to this disc before each round. Also a great gift for your golfing enthusiast in your family or friends. All downloadable so you can get started NOW! WOW. I purchased the MP3 files on line and listened to them twice. I played this past Saturday for the first time after listening to your instruction and I am truly amazed. I have a 11 handicap and I started out playing that day not so well, I was 4 over par after 3 holes. From that point on I played fantastic golf and shot a 6 over score of 76. I usually play the last four holes poorly, on this day I was even par on the last four holes. On top of that I was playing with a fried and two people he brought that I never met. They were a 6 and 7 handicap. We played for a small wager and I made a clutch putt on 17 to keep someone else from getting the lead and on 18 I sank a 7 footer to win the bet. I usually do not play so well under pressure, your program is amazing and the focus I was able to obtain was fantastic. I can’t wait for my next round. Joel is a new Vision1Golfer that normally hits in the low to mid 90’s. Listen to his interview with Master Peter Brusso and the dramatic results he got his first time out with Vision1Golf in a Club Championship. 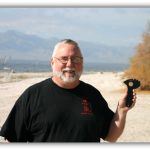 Which self defense weapon is right for you?